Last year, BlackBerry announced the launch of BlackBerry Style 9670 flip smartphone exclusively on the airwaves of Sprint in the US. Finally after waiting for more than six months, this handset has been officially launched in India. 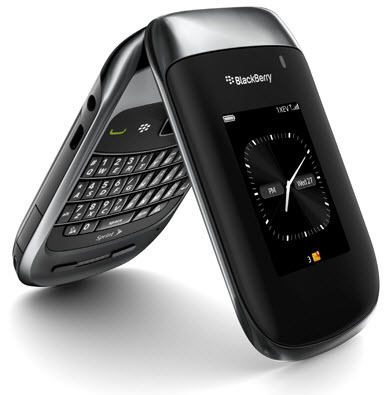 BlackBerry Style 9670 is a CDMA phone, so it can be used only with Reliance, Tata Docomo and MTS in India. This handset runs on the Blackberry 6 Operating System and it comes with a two large display, full QWERTY keyboard, 3G Connectivity, 5 megapixel camera and more. The external screen can be used for quickly viewing notifications and messages, while the high-resolution internal screen can be used for web browsing and watching videos. Check out the complete specs below. BlackBerry Style 9670 features a 2.7 inch QVGA internal display with 360 x 400 pixels resolution, 2 inch QVGA external display, BlackBerry 6 Operating System, Full QWERTY keyboard, Trackpad, Wi-Fi, 3G Connectivity, 5 megapixel camera with flash, continues auto-focus and image stabilization, VGA video recording and so on. Other features include a 3.5mm audio jack, Multimedia player, Bluetooth 2.1 with A2DP, GPS, 512MB internal memory, 32GB expandable memory, 8GB card included, BlackBerry Maps, 14 hours of music playback, 4.5 hours of talk time, 10.5 days of stand-by time and a 1150 mAhr battery. BlackBerry Style 9670 comes with SNS apps for accessing YouTube, BBM, Facebook, Twitter and MySpace. This handset comes with a price tag of Rs.24,990.